109th day of the year. There were then 256 days left in 2019.
on the 16th week of 2019 (using ISO standard week number calculation). 31st day of Spring. There were 64 days left till Summer. 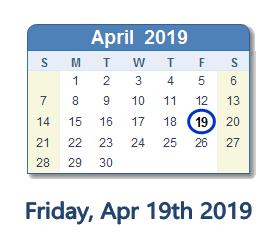 What happened on April 19th 2019?